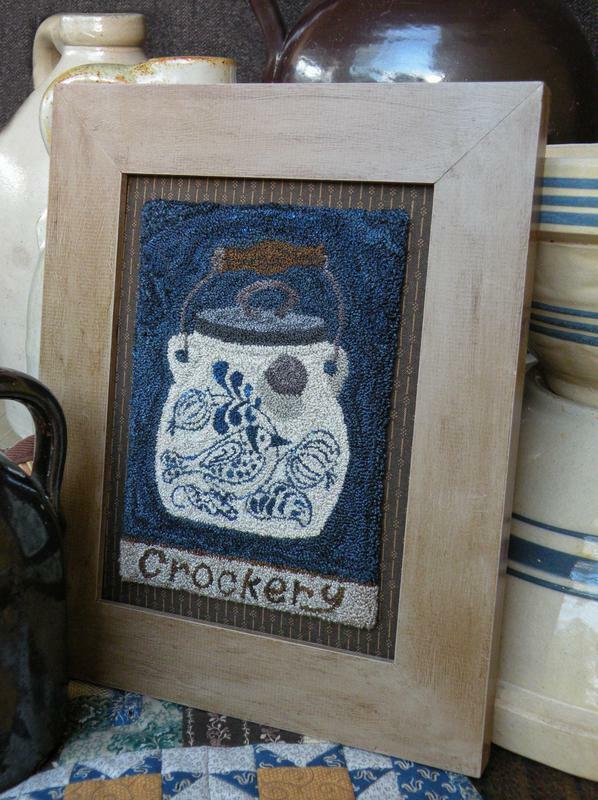 Our rug hooking canvases are all hand-drawn (and on-grain) onto natural linen and are designed to be hooked with a primitive cut wool (#5 or wider). We also offer many canvases hand-drawn on monk's cloth (cotton) as well, which can be hooked with any width of strip! (Please excuse the change of color in the linen and monk's cloth in these pictures; it is due to the photography. 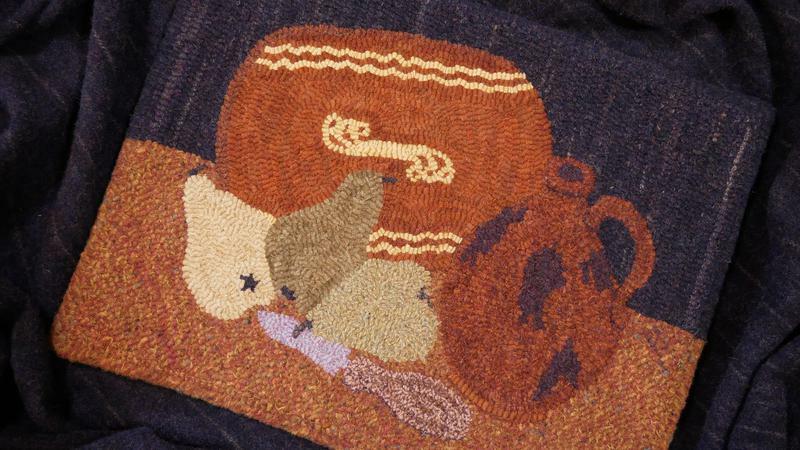 Our punch needle patterns include the natural color "weaver's cloth" for you to transfer design onto. "It's finished! I hooked this entire piece in a size 8 cut and in a few tight areas I hand cut those size 8's down a bit. 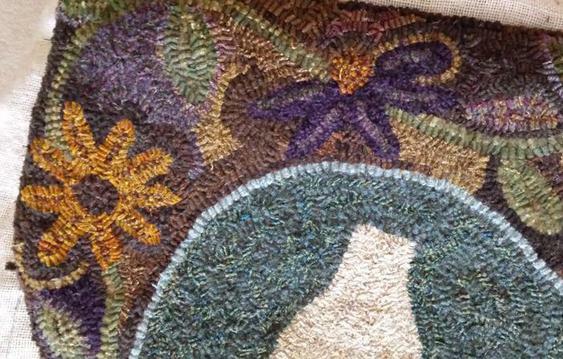 I used all 'off the bolt' wools for this rug." 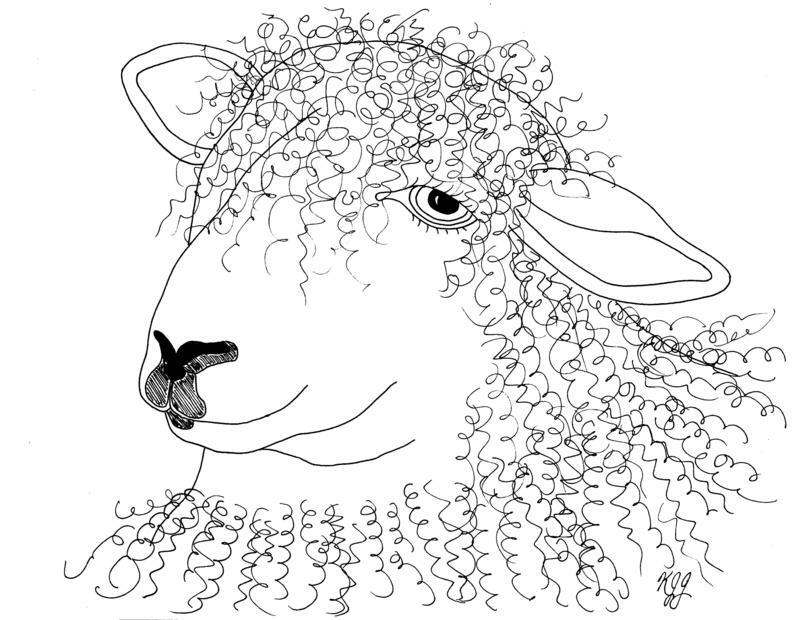 This is a customer's interpretation of this design. It was hooked by a friend as a celebration of her 50th wedding anniversary. 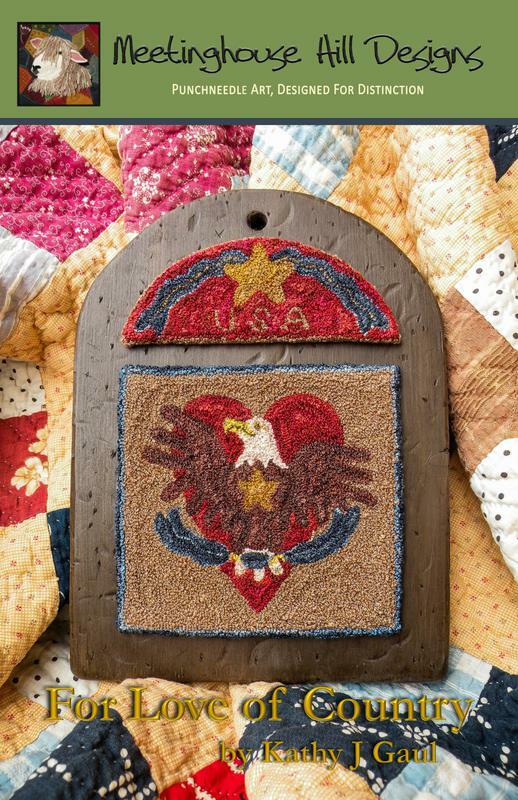 She kept the whole thing a secret from her husband while she hooked this gift for him! 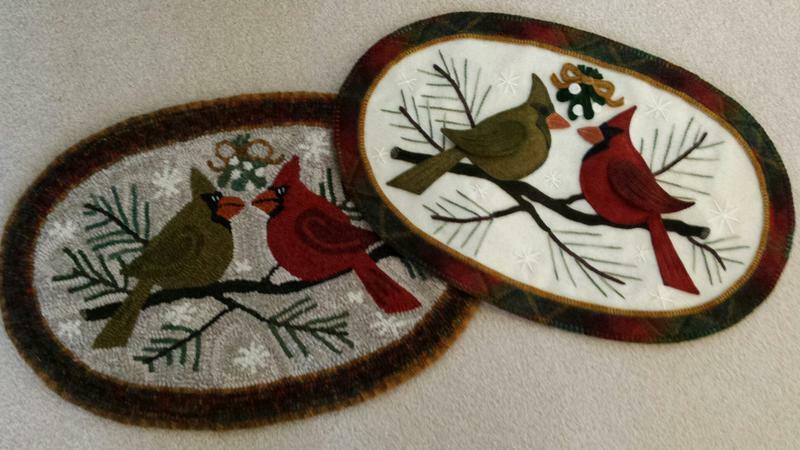 These two models are customers' interpretations of Table Salts and Autumn's Perch designs. 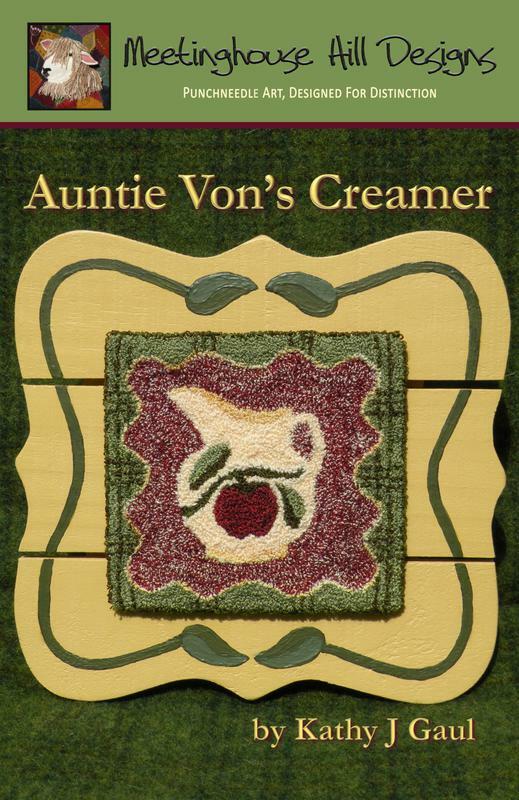 My Auntie Von taught me to sew, bake and garden... and she always served coffee and dessert with this creamer filled with milk. A sweet reminder of her and her influence in my life. I love stacks of pumpkins and of course, crows! A customer hooked this version, very primitive styling and very fast to do! 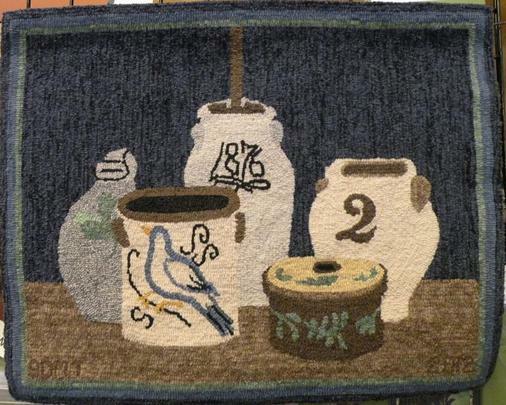 There will be more rug and punch needle designs to come! 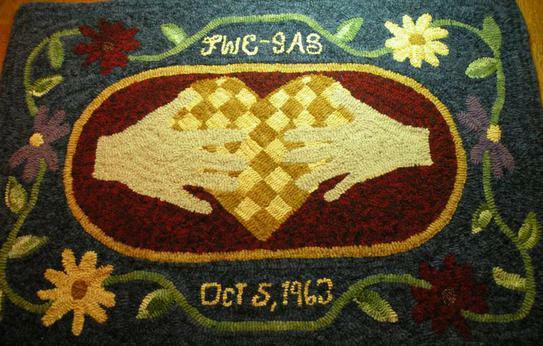 Please email us photos of your completed rugs. We'll be developing a page of "customer's interpretations" to show them off. We would love to add yours! 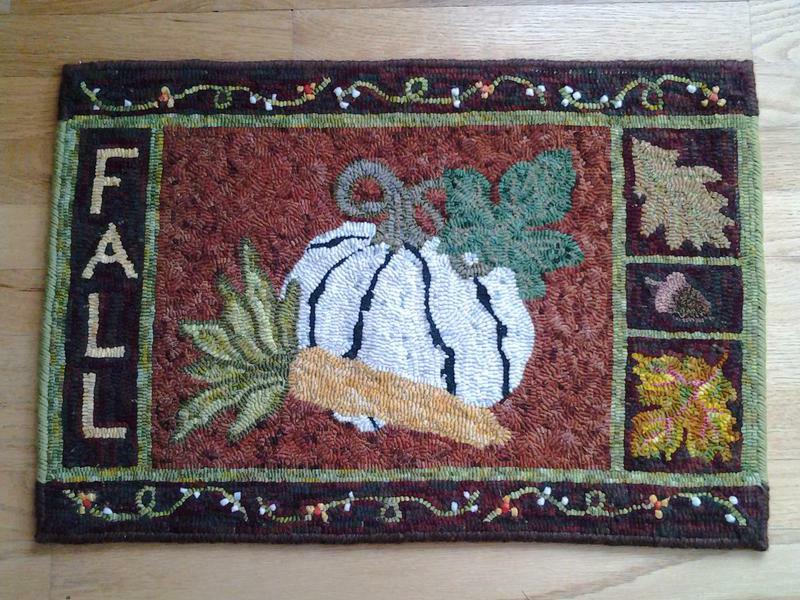 47 1/2" x 11 1/2"
Above rug hooked by a dear friend. She finished it in only 3 weeks! Notice the "tunneling" technique used to separate the tongues since she did not hook them in two different colors. ​Below - the same rug plus another hooked by a different friend, in a #5 cut. She rounded the corners and made the tongues in two colors. She also found some neat metal star buttons to add to the tongues since it will be for her table. 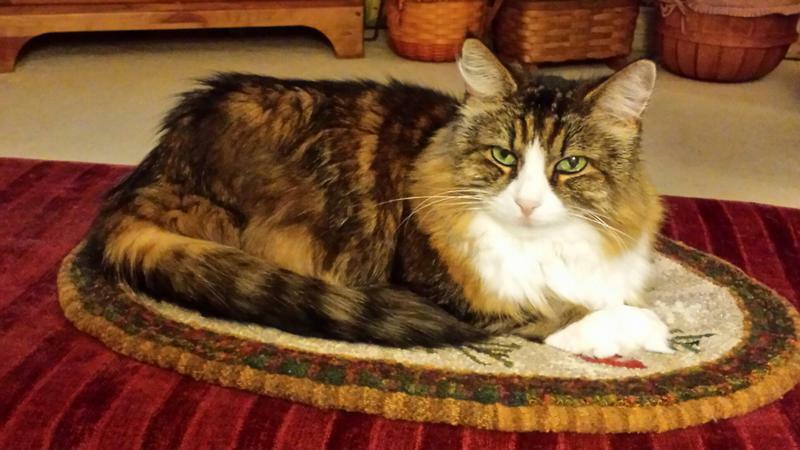 She is still finishing the rug so the stars are not on it yet! Oh, and it's all hand-dyed wool!!! 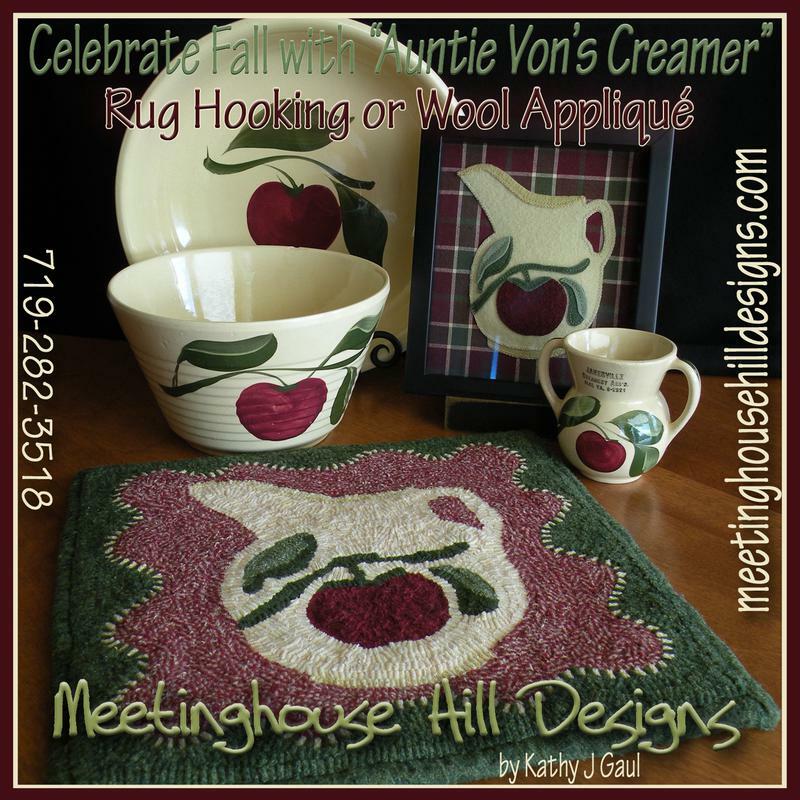 This ad was in the Fall issue 2015 of Rug Hooking magazine! NEW Items - 64" Linen and 58/60" Monks Cloth, #6 and #8 Primitive Hartman Hooks and Washed Black Wool in fat quarter, half yard and full yard cuts! Should be hooked with #5 cut or wider wool strips. Can be hooked with any size wool strips. Dimensions - 20" x 13"
Complete instructions, reverse printed image for tracing and weaver's cloth.